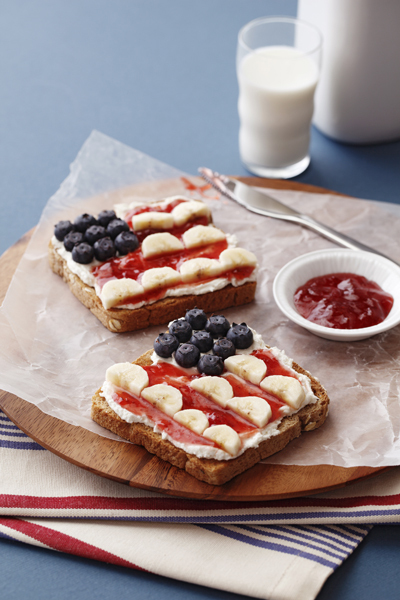 Check out this fun 4th of July breakfast idea! Bella loves toasted oat bread for breakfast. I love that this will take practically no time to throw together. Thanks Emily Henson for sharing! If I had blueberries I would so totally do that! How cute! Instead we had pancakes with red syrup (made with cranberry pomegranate juice). We used red grapes. They looked close enough. Cranberry pomegrante syrup = yum!